Are you unsatisfied with the results of your rhinoplasty procedure? If so, you may be thinking of having a secondary (revision) procedure. Revision rhinoplasty is a complex, invasive procedure, so it is important that you do your homework and get answers to all of your questions. Below we provide the answers to some of the most common questions patients like you have. 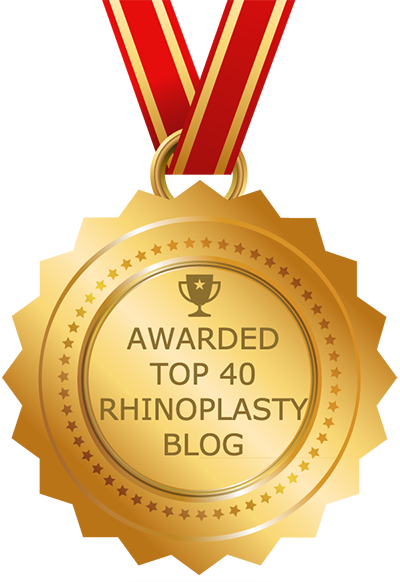 1) What is revision rhinoplasty? Revision rhinoplasty, also called secondary rhinoplasty, is a nose surgery performed in order to correct the results of a previous procedure. With the ever-rising popularity of facial plastic surgery, more and more inexperienced surgeons are offering rhinoplasty and other cosmetic procedures. The result has been an increase patients who are dissatisfied with their results. In most cases, the goal of revision rhinoplasty is to achieve a more aesthetically pleasing look. In some cases the procedure is performed for functional reasons, such as nasal obstruction and/or breathing problems. This depends on the individual needs of the patient. Revision rhinoplasty may involve altering the tip, adding support to the internal structure in the form of cartilage grafts, trimming skin, shaving cartilage, and other actions. Revision rhinoplasty surgery is a technically challenging procedure that should only be performed by a board-certified facial plastic surgeon with years of experiencing performing complex rhinoplasty cases, including secondary cases. 3) How long does the procedure take? About two to three hours, depending on the complexity of the procedure. 4) At what age can a revision rhinoplasty be performed? At about age 15 or 16 years for girls, 17 or 18 for boys. To have any rhinoplasty (primary or secondary), the patient must have a foot that has not changed in size for well over a year. 5) Am I a good candidate for revision rhinoplasty? If you meet the age requirement, are in good health and are unsatisfied with the results of your original rhinoplasty procedure, you may be a good candidate for revision rhinoplasty. You will need to wait at least a year after the original procedure before undergoing secondary rhinoplasty. 6) What is the cost of revision rhinoplasty? There is huge variance in the fee for revision rhinoplasty. It depends on how complicated the procedure is, the experience of the surgeon, where he or she is located and other factors. A surgeon may charge more for a procedure that takes longer and is more complicated. 7) Will insurance pay for revision rhinoplasty? Only if it is being performed for health or “functional” reasons, such as breathing problems or nasal obstruction. If you are seeking revision rhinoplasty for aesthetic reasons, it will not be covered by insurance. Check with your insurance carrier to be sure. 8) What type of anesthesia is used when performing revision rhinoplasty? Revision rhinoplasty is an invasive surgery, and as such is almost always performed using general anesthesia. General anesthesia allows the surgeon to remain focused on the surgery, while the anesthesiologist administers anesthesia. 9) What is the recovery like? Again this varies by patient, but you should expect some swelling and maybe nausea. You may feel congested, but avoid blowing your nose. It is important to keep your head elevated and still for the first few days after surgery. You can use cold compresses to lessen the swelling; your surgeon also may prescribe pain medications and recommend an herbal remedy called arnica montana to control swelling. The swelling typically takes a couple of weeks to subside. You will need to wait several weeks before returning to exercise and other vigorous activity. Also avoid wearing glasses during the initial stages of recovery, and avoid contact sports for several months. 10) Are there risks or complications? As with any surgery, revision rhinoplasty does come with some risks. It is important to understand that patients who have already undergone one rhinoplasty procedure are likely to have scar tissue and compromised cartilage and other nasal structures, which are difficult to manipulate and work with. Consequently, the main risk of revision rhinoplasty is dissatisfaction with the result. In fact, the surgeon may need to perform additional revisions to touch up the results (most surgeons will do this at no charge). In some cases, this may not be possible. Revision rhinoplasty comes with other inherent risks as well, such as bleeding and infection. Should complications arise, call your surgeon immediately. 11) What Are Some Reasons To Have Revision Rhinoplasty? Though most people who have had rhinoplasty are happy with the outcome, a few less lucky individuals end up with unsatisfactory results. Thankfully, revision rhinoplasty can address a number of problems, including a pinched tip, a pointy tip, inverted V deformity, a hanging columella, external valve collapse and open roof deformity. 12) Should I Go To The Same Surgeon That Performed The Original Procedure? This depends on how serious the issue is that you have with your results. If something is a bit “off” and needs a touch-up, it may be acceptable to return to your original surgeon — but only if he or she is a board certified facial plastic surgeon who specializes in rhinoplasty procedures. If you are extremely unhappy with your results and you think that your original surgeon may be part of the problem, by all means seek out the services of a different surgeon. Revision rhinoplasty is considered to be the most complicated of all plastic surgery procedures. Therefore, it is imperative that you hire an expert to perform your procedure. 13) How Much Does Revision Rhinoplasty Cost? The cost of revision rhinoplasty can vary markedly. It depends on the complexity of your procedure and on where the surgeon you choose is located. Revision rhinoplasty is usually more expensive than the original procedure because it is more complicated due to scar tissue and other factors. Cost should not be the primary factor in your decision to have revision rhinoplasty. If you feel that you cannot afford the procedure, ask your surgeon about financing options. 14) When It Comes To Revision Work, Can A Patient Undergo More Than One Revision? Again, this depends your situation, including: your nasal anatomy; how many previous rhinoplasty procedures you have had; the effect these procedures have had on the integrity of your nasal structures; the thickness of your nasal skin; any scar tissue left over from previous procedures; whether your need grafting; the extent of any deformities; how much cartilage was removed; your psychological condition; and other factors. Revision rhinoplasty is a technically challenging procedure, so it is vitally important that you have a revision expert to assess your situation and advise you accordingly. Keep in mind that with each surgery your chance of complications goes up and your odds of achieving a dramatic transformation go down. 15) What Are The Potential Complications? Although complications from revision rhinoplasty are relatively rare, they do occur. For example, during the procedure a very small percentage of patients experience complications relating to anesthesia. Every patient experiences swelling around the eyes after the procedure. In addition, the following complications are possible: bleeding, unexpected swelling, infection, sun damage, holes in the septum, skin problems, nasal blockage, reactions to medication, trauma caused by bumping the nose, and other issues. Sometimes the nose simply doesn’t heal correctly. If you experience any problems after your procedure, contact your rhinoplasty surgeon immediately. 16) What Should I Look For In A Revision Rhinoplasty Surgeon? Look for a board certified facial plastic surgeon who specializes in rhinoplasty procedures. These surgeons receive extra training in surgery of the face. Revision rhinoplasty is a complex procedure that often involves grafting and other difficult techniques, so it is very important that your surgeon is a rhinoplasty specialist who has experience with such techniques, as well as other types of nose surgery. Your surgeon should also have experience performing surgery on patients of various ethnicities; ask your surgeon for before and after photos of patients who look similar to you.